Not close enough to your printer or scanner? Extend the length of your USB signal and data transmission up to 100 meters with our USB 2.0 Extender. The USB extender is also a 4 port USB hub so you can connect more than one device up to 100m away. 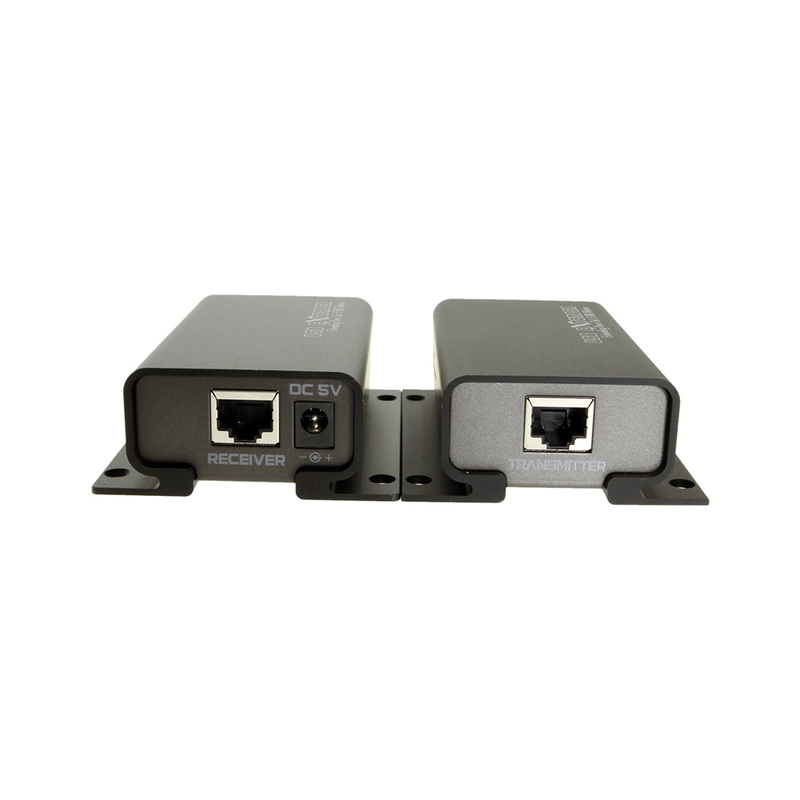 Uses a standard Cat5/6 cabling and connects to the RJ45 ports on the transmit and receive modules. Can be mounted to flat surfaces such as wall or bench tops. The USB 2.0 high speed USB Extender system enables USB 2.0 connectivity over Cat 5/5e/6 cable. Data rates up to 480Mbps are extended up to 100m (328ft) over standard Cat 5 cabling. 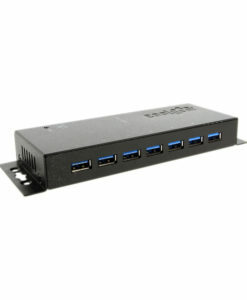 The USB extender with 4 port hub is true plug and play with no additional software drivers. It is compatible with all major operating systems like Windows, MAC and Linux. It’s ideal for remotely accessing laser printers, scanners, web cameras, external hard drives and other USB 2.0 equipment. 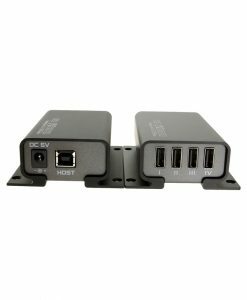 It supports USB extension applications including security, industrial control, digital signage, and scientific data acquisition. True plug and play, no driver installation required. Ideal for a wide variety of USB devices, printers, scanners, hard drives, audio devices, touch screens, web cams, and game controllers.